I used to live in Florida and loved to go scuba diving. Coral reef colors are beautiful and tropical fish were my favorite views. 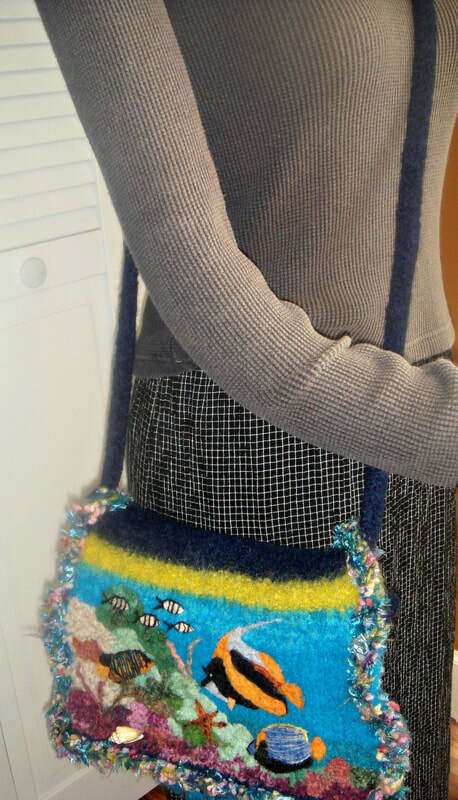 The purse even has real shell attached!! 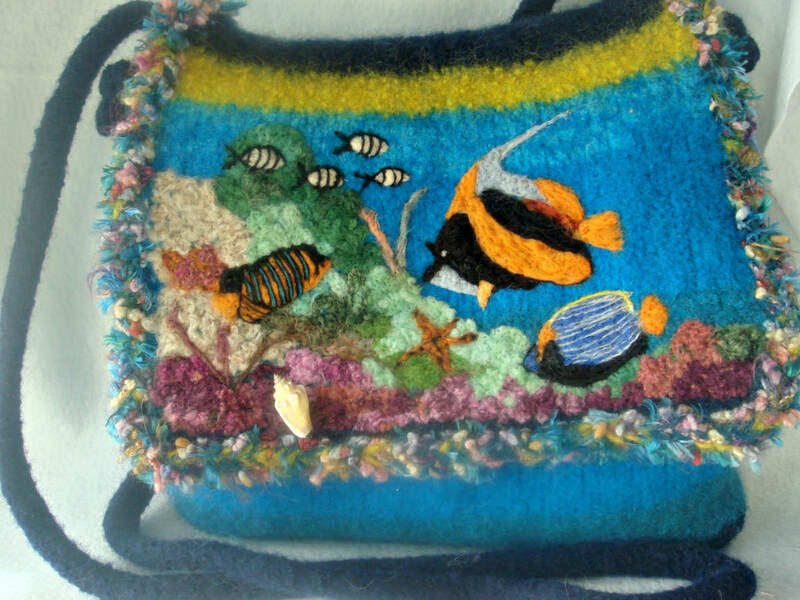 This bag has a large flap knitted and felted specifically for this scene. 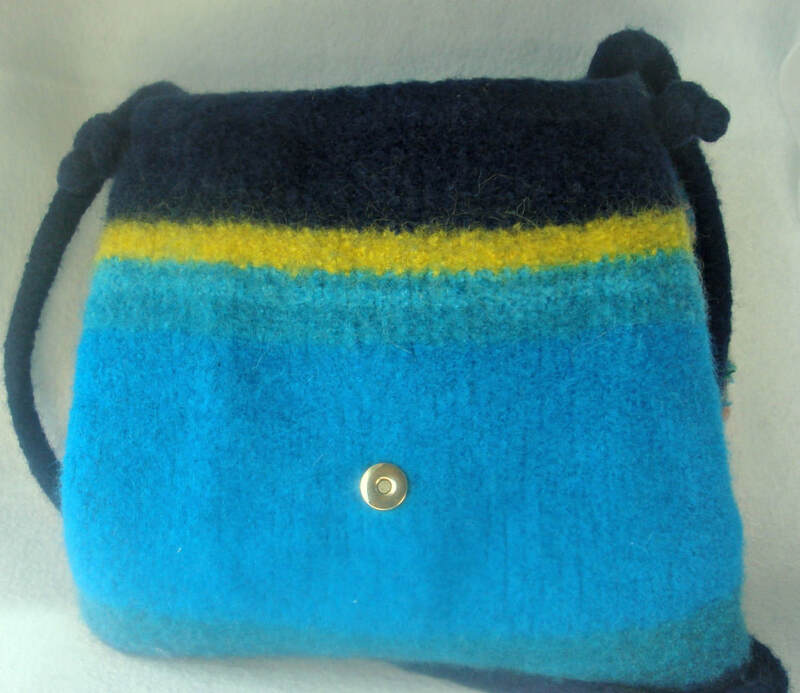 It has an inside pocket and closes with a magnetic snap. The measurements are: flap: 12"X 6" / purse:11" X 10" X 2.5"
The ADJUSTABLE strap has a long 26" drop but can can easily be shortened.